When London DJs Elijah and Skilliam graduated from university in 2009, they stared at an uncertain future. 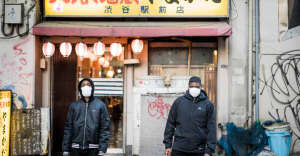 On the one hand, grime — the music they’d been celebrating as DJs and fans on Butterz, a blog they’d started two years earlier — was in a creative lull following the ascendance of its twin London sound, dubstep, and failed attempts at major label growth. And on the other hand, the worst financial crisis since the Great Depression of the ‘30s was unfolding around the world. “The choice was do a job that didn’t pay much and you didn’t like, or do something you like and don’t get paid a lot of money anyway,” Elijah recalls today, wearing an all-black outfit in the slickly designed lobby of Red Bull Studios in Manhattan. However, times of crisis can also be creatively fertile, and the pair, then 22, were ambitious and dedicated. The choice, they decided, was obvious: “Let’s try build this up and if it doesn’t work get a job.” In 2010, after honing their DJ and selection skills, they expanded their Butterz blog into a label and club night. The odds were stacked against them — grime had moved away from vinyl as a release format (favoring mixtapes, CDs, and digital files), while dedicated grime club nights were almost non-existent due to pressure from police and local government officials, who made racist associations between the music and violence — but that didn’t stop them forging ahead. In a world where the old top-down music industry model of selling products is fighting to co-exist alongside a myriad of new options for independent music distribution, promotion, and consumption, the decision to turn a creative interest into a full time job remains a risky gambit. “We want people to enter this like a profession and know that you can make a living but it’s not gonna be easy and there isn’t someone waiting to give you money,” states Elijah. Skilliam, wearing a grey hoodie, is the quieter member of the duo; he listens intently and interjects only to elaborate: “You need to know you have to apply yourself.” For the pair, the path to success has meant recognizing the need to create their own opportunities, not wait on someone else. Over the past five years, Elijah, Skilliam and the core Butterz artists — Flava D, Swindle, and Royal T — have each turned their passion into a living by doing just that. The seeming lack of potential in grime in the late 2000s provided them with the chance “to build this thing ourselves,” says Elijah. “We often wondered when we started why we had to do everything but in the long term it’s made Butterz and our approach stronger.” While Butterz proved the music could sustain vinyl releases and grow its audience, the artists took their own leap of faith. “[Swindle, Royal T, and Flava D] saw the opportunity and approached it like a job even if it wasn’t going to pay them straight away,” Elijah continues. “It’s not a luxury everyone has but they made it work.” The club events also proved important in this regard. Flava D has been making music for ten years but she only began DJing in 2013. By using Butterz’s Jamz residency at The Alibi, a small basement venue in London’s Dalston neighborhood, as a practice space she was able to gain the confidence and expertise to become a touring artist. Similarly, Swindle, a seasoned musician, put together his own band to realize new live visions for the music. 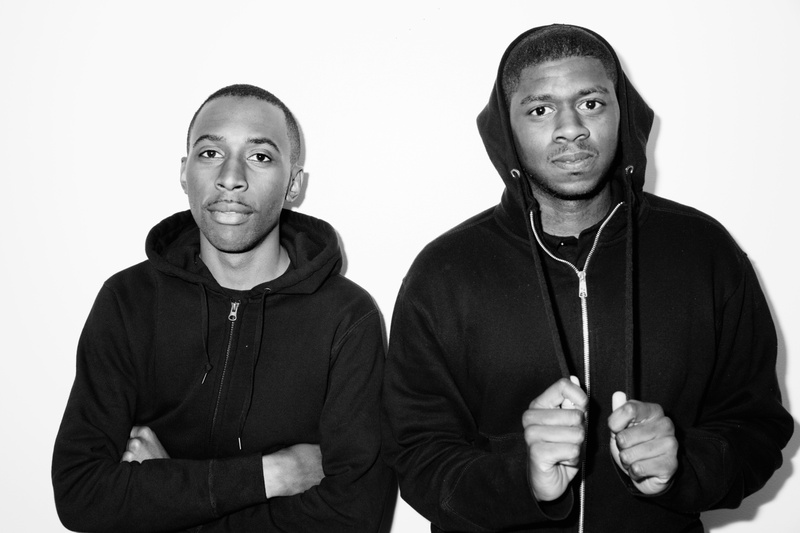 Despite all the globetrotting and industry respect, Elijah and Skilliam are still the same two boys from London doing what they love. “We could go and get a [real] job now,” says Skilliam. “But why stop? We have the forward motion and this is our job now.” Today, independent artists and creatives have to choose from a variety of customizable models to find the one best suited to making a professional path for themselves. It’s a process that requires perseverance and commitment, skewed by the continued persistence of old industry myths about “making it.” As I turn off the recorder at the end of our hour-long conversation, Elijah half-jokingly notes “it sounds like I’m just complaining.” He’s not, but it’s an understandable feeling when there aren’t any clearcut answers to the problems at hand. It’s only by asking questions and starting conversations that we — DJs, promoters, producers, publishers, fans — can create a better tomorrow for the music we care about. Catch the Butterz team on the road.